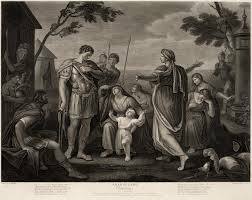 The Family of William Shakespeare: He was a popular English poet and writer during the 16th century. He was famous for his plays like Romeo and Juliet, Hamlet and Othello. William Shakespeare was born to John and Mary Shakespeare in 1564 in Stratford-upon-Avon. He was baptized on 26th April 1564 and was believed to have been born 23rd April 1564. John Shakespeare was the son of Richard Shakespeare, a tenant farmer. He is believed to have been born in 1531. John helped his father on the farm but in 1551 he moved to Stratford. There, he started trading in wool, corn, and malt. He also made ladies gloves and purses. He was also in the business of money lending. John had purchased two houses in Stratford, one in Henley Street and the other in Greenhill Street. Mary Arden was the daughter of Robert Arden and belonged to one of the best- known Family of William Shakespeare of Warwickshire. She is said to be born in 1540. Mary Arden’s father died in 1556 and she was named as the Executor of his will. In the Family of William Shakespeare, it is believed that John and Mary courted for a while before getting married sometime around 1557-1558. 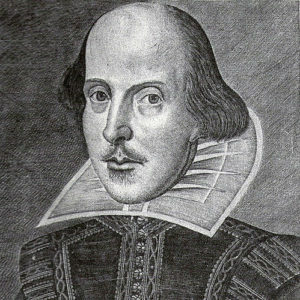 Both parents of William Shakespeare were Catholics. John and Mary Shakespeare were illiterate. He used Glover’s compasses as his signature while Mary used a running horse as her signature. Despite this, he had earned the respect of the community and was a prominent citizen of Stratford. After their marriage, John and Mary moved to their house in Henley Street, Stratford. Even after marriage, money lending was a flourishing business for John. John and Mary had eight children; William was the first male child but third child born to his parents in 1564 (the earlier children, Joan and Margaret both daughters died very young), then in 1566, son Gilbert was born, in 1569 daughter Joan was born, in 1571 daughter Anne was born, in 1574 son Richard was born and the last child, son Edmund was born in 1580. In 1557 John was appointed as ale-taster of the Borough of Stratford. In 1661 John was elected as Chamberlain of the Borough of Stratford. In 1665 he became Alderman and in 1668 he became Bailiff of Stratford. The position of Bailiff was equal to that of a Mayor. John became Chief Alderman in 1570. It was in the same year that John Shakespeare was accused of lending money at an interest rate of 20% and 25%. In 1570 itself John applied for Coat-of-Arms. He, however, did not get it. In 1578 John became behind his taxes. He was thus compelled to remove his son’s name from school and made them help him in his work. In 1579 Anne Shakespeare passed away at the age of 8 years. In 1579 John had to mortgage Mary’s estate, Asbies. In 1580, John was fined £40 as he had missed a court date. In 1586 John Shakespeare was removed from the Board of Alderman. By 1590, the only possession John had was his house in Henley Street, Stratford. In 1596, John was granted Coat-of-Arms. In 1599 John was recalled on the Town Council. 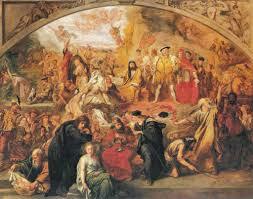 However, in 1601 John Shakespeare died. Mary Shakespeare died in 1608. In Family of William Shakespeare, William married Anne Hathaway when he was only 18 years old. Anne was a daughter of a local farmer and is thought to have been eight years older to William at the time of their marriage. She was also three months pregnant. They have issued a marriage license by the consistory court of the Diocese of Worcester on 27th November 1582. Within six months of their marriage, Anne gave birth to a baby girl, Susanna. She was baptized on 26th May 1583. In 1585 twins, son Hamnet and daughter Judith were born to William and Anne. However, Hamnet died an untimely death at the age of 11 years. The reason for his death is unclear. Facts about the Family of William Shakespeare, his older daughter, Susanna married reputed physician John Hall in 1607. 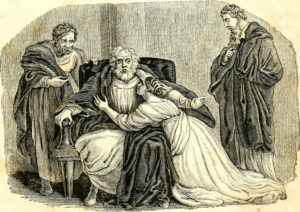 William had named Susanna and John Hall as the Executors of his Will. In 1608 Susanna gave birth to a daughter, Elizabeth. She was baptized at Holy Trinity Church. William left a large portion of his property in Susanna’s name. John Hall is believed to have invented the cure for scurvy. This cure was made from locally available grass and plants with high contents of ascorbic acid. This is evident from the fact that when Susanna fell sick because of the illness her husband’s treatment cured her completely. John Hall died in 1635 and was buried at Holy Trinity Church. Susanna lived for another 14 years and died in 1649. Elizabeth, John and Susanna Hall’s daughter got married twice. Her first marriage was with Thomas Nash, a wealthy barrister, and son of Anthony Nash. Thomas, however, died in 1645. In 1649 Elizabeth married her second husband, John Barnard. John Barnard was awarded knighthood in 1661 by Charles II. Elizabeth died issueless in 1670. With her ended the lineage of William Shakespeare. Judith, William and Anne’s second daughter married Thomas Quiney in 1616. She faced a lot of hardships in her life. Thomas Quiney did not have the mandatory license for a wedding and therefore his marriage to Judith was not accepted by the community. Furthermore, he was charged for ‘carnal copulation’ with a woman named Margaret Wheeler. Thomas confessed and was sentenced to perform public penance. His punishment was later converted to private penance with a small fine. Thomas and Judith had three children- Shakespeare who died in infancy, Richard who lived up to the age of 21 years and Thomas who died at the age of 19 years. There was thus no one to carry on the lineage of William Shakespeare. Thomas Quiney died around 1652 and Judith died in 1662. Of the surviving children of John and Mary Shakespeare Gilbert is believed to have contracted the plague but he successfully recovered from the same. Gilbert went to school with William. But they were removed from school and asked to assist their father. Gilbert also went to London to pursue a career. Gilbert along with his father and brother was granted coat-of-arms. 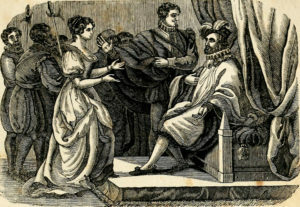 Gilbert in 1609 appeared in court in Stratford. He was a bachelor throughout his life and in 1612 Gilbert died at Stratford. Joan Shakespeare was illiterate like her parents. She married William Hart who was a hatter. Together Joan and William had four children, two of whom died young. They named their sons William and Michael. William Hart like his uncle William Shakespeare became an actor and worked for The King’s Men Company. William Hart died in 1616, a week before the death of William Shakespeare. Joan Hart died in 1646. Anne Shakespeare died in 1579 at a young age of 8 years probably due to the plague. There is very little information about Richard Shakespeare. It is believed that he was not very educated and that he never got married. It is assumed that he never left Stratford to pursue a career. He died in 1613, one year after the death of Gilbert. Edmund followed the footsteps of William and went to London to pursue a career in acting. He also acted in many of William Shakespeare’s plays. Edmund died an untimely death in 1607 when he was only 27 years old. It is believed that he died of the plague. Edmund was buried in St. Saviour’s Church in Southwark.